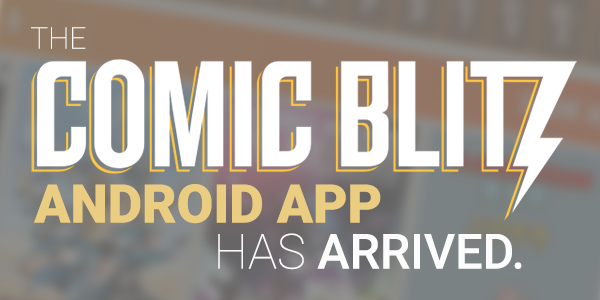 The ComicBlitz Android App Has Arrived! It’s now official and live – get ComicBlitz on your Android device from Google Play! Some heroes ponder why they were given their powers. Here at ComicBlitz, we have known our purpose from the very beginning: to bring great comic books to as many people as we can, on planet Earth and beyond! That is why we have developed the brand-new ComicBlitz Android App, now LIVE on the Google Play store! We are one step closer to providing the people of Earth with amazing stories and you can help us fulfill our purpose! Use your iOS, Desktop or Android device to get access to our catalog of more that 4,500 issues by IDW, Dynamite, Top Cow, Valiant and many more.